The Small White Butterfly was @SpeciesofUK from 7th to 13th April, 2014. 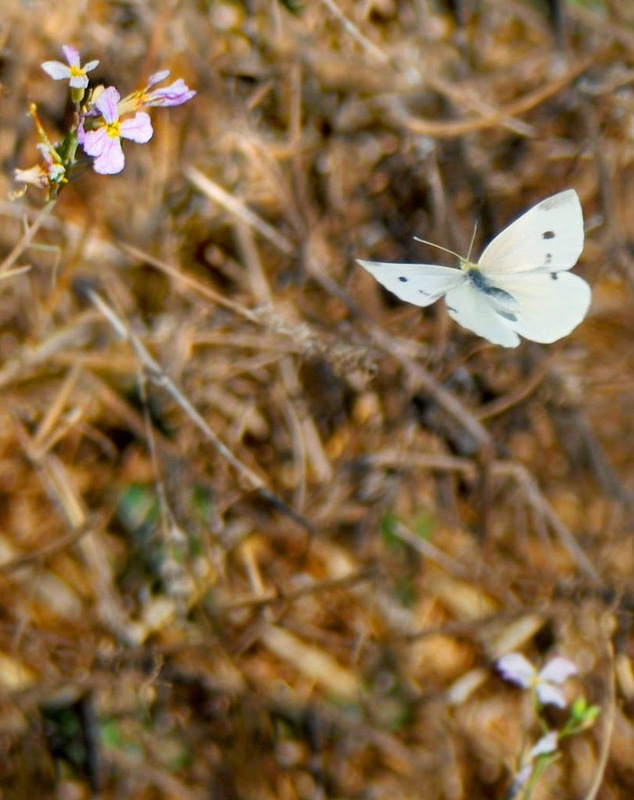 The small white is one of the butterflies (alongside the large white) that we sometimes call a 'cabbage white.' It is one of the most widespread butterflies in the UK. 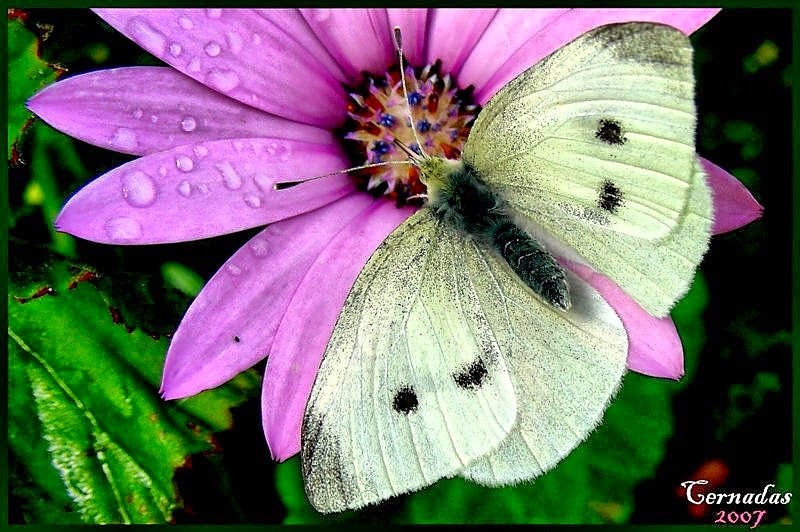 The small white comes from a large family of butterflies. 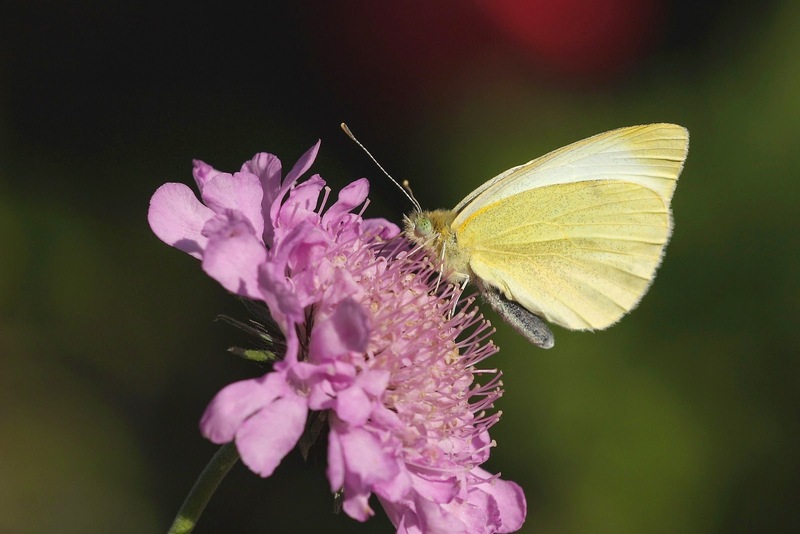 The small white is part of the Pieridae family of butterflies - the 'yellows and whites’. Pieridae is a large family of butterflies with about 1,100 species across the world. The very word 'butterfly' is thought to originate from the Pieridae family, from the sense of 'butter-coloured fly’. The genus of the small white is Pieris, the so-called 'garden whites'. 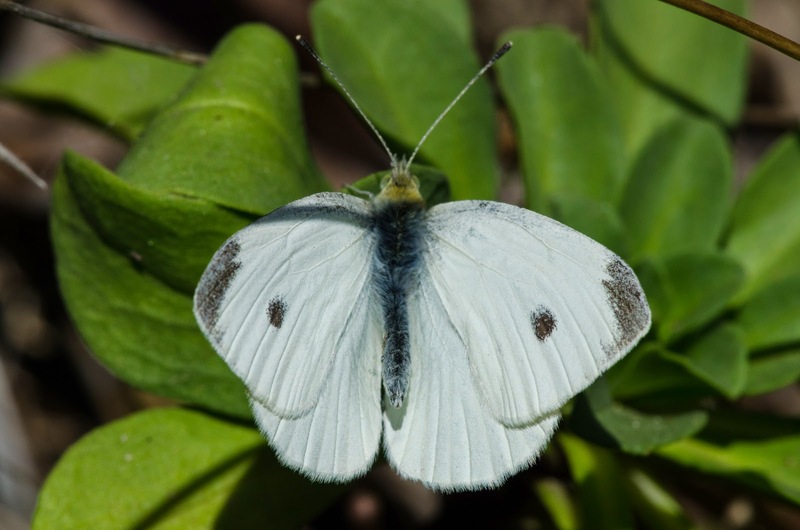 The other UK Pieris species are the large whites, green-veined whites and bath whites. 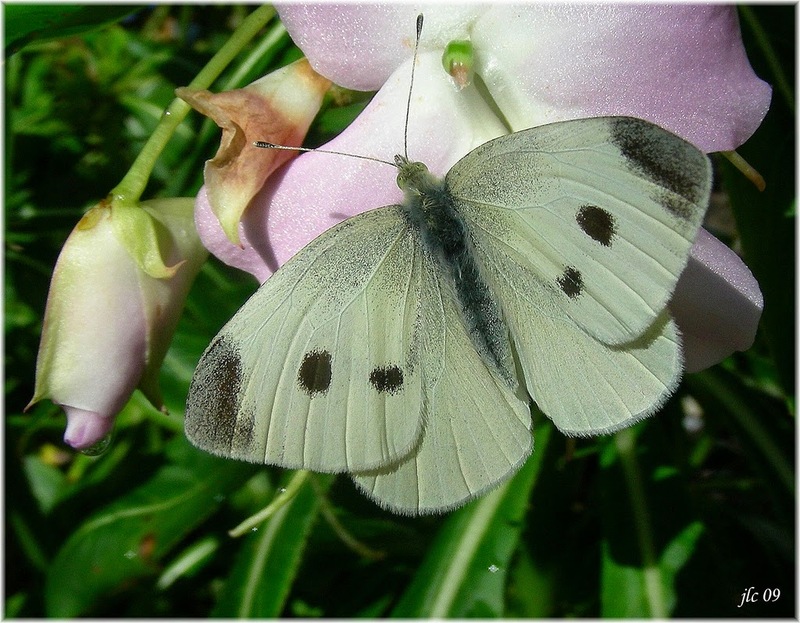 Pieris butterflies are known for having caterpillars that eat cabbages and other Brassica. They've adapted to detoxify the chemicals these plants produce. Being crop-damaging species, Pieris butterflies are known as pest species pretty much wherever in the world they occur. 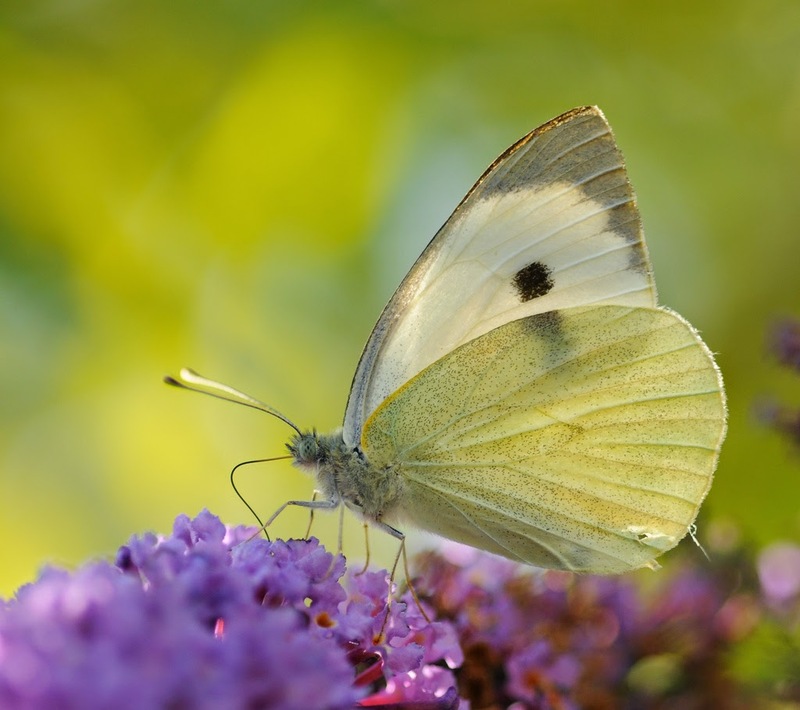 As a result of this, our Pieris butterflies, and in particular the small white and large white, have acquired the alternative name of ‘cabbage whites’. The small white is native across Europe, North Africa and Asia. 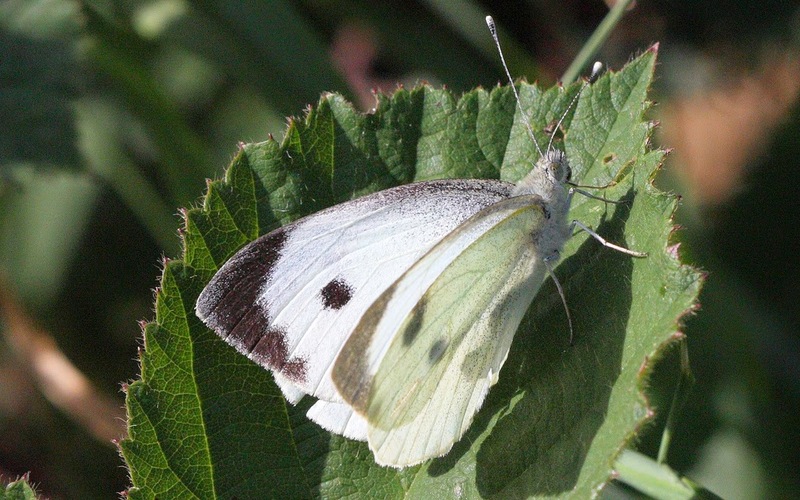 The small white is widespread throughout the UK. It is largely absent in northern Scotland but even there is has been seen as far north as Orkney and Shetland. Small whites can turn up in a wide variety of habitats. Garden, parks, hedgerows and meadows are typical places to see them. There is also a migratory population that comes to the UK from Europe each year, sometimes in large swarms, augmenting our resident population. 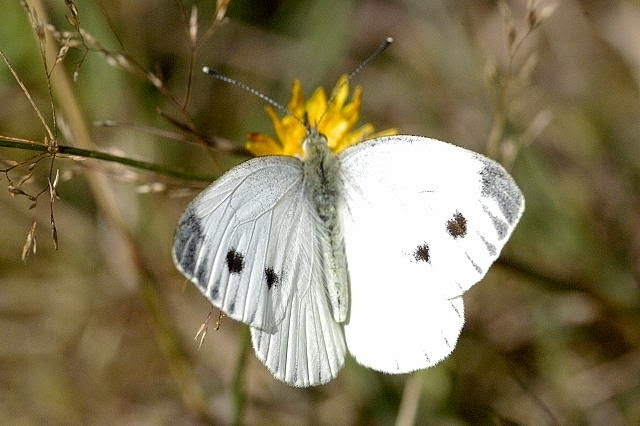 In addition to its native range, the small white has been introduced (accidentally) in Australia, New Zealand and North America, making it a truly global species. The small white was accidentally introduced to Quebec, Canada around 1860 and spread rapidly throughout North America. By 1898, it has spread to Hawaii. In 1939 the small white was introduced in Melbourne. Within three years later it had spread 1,850 miles to the west coast of Australia. Nowadays it’s considered an invasive pest. The small white is rather plain in appearance. It has a simple creamy white upperside with black tips on the forewings. Each wing also has either one or two dark wing spots. 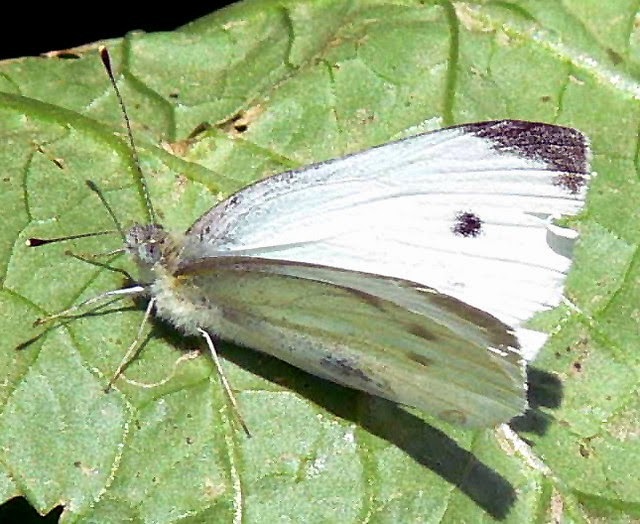 The underwings of the small white are yellowish and non-descript. 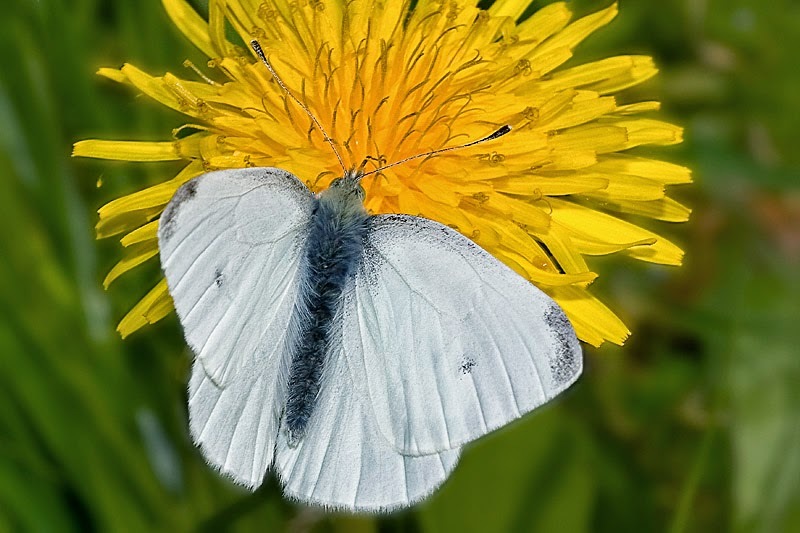 Adult small white nectar sources include thistles, bird's-foot trefoil, bluebells, bugles, stitchworts, hawkweeds, daisies and dandelions. The small white can easily be confused with the large white. The main difference between the small white and large white, as the names suggest, is the size. The small white is usually (but not always) smaller. The wingspan of an adult small white typically ranges from 32 to 47mm. For large whites, it's 50 to 65mm. The other way of distinguishing large and small white is the black marking on the wing tips. It's generally more vertical in large whites, and horizontal in small whites. The small white could also be confused with the green-veined white. The underside of the green-veined white is quite distinctive as it has pronounced markings along the veins which give it its name. The upperside is more difficult to distinguish, although generally the green-veined white’s veins still look more pronounced than the small white’s. Also, the black marking on the tip of the forewing of the green-veined white extends down along the edge of the wing and is not continuous. The small white’s marking never extends down the edge of the wing, and is unbroken. Small whites produce two generations a year, and sometimes three. The first-brood adults emerge in April and tail off in June. 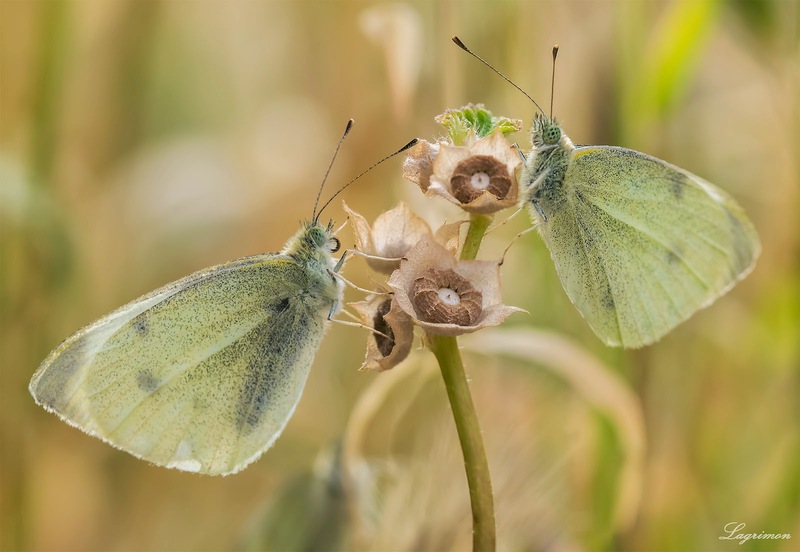 Second-brood small whites emerge in July. They are much richer in colour and have noticeably darker markings than first-brood. In good years, the second brood can emerge as early as June and give rise to a third brood in the same year. Small white courting is a fascinating affair. 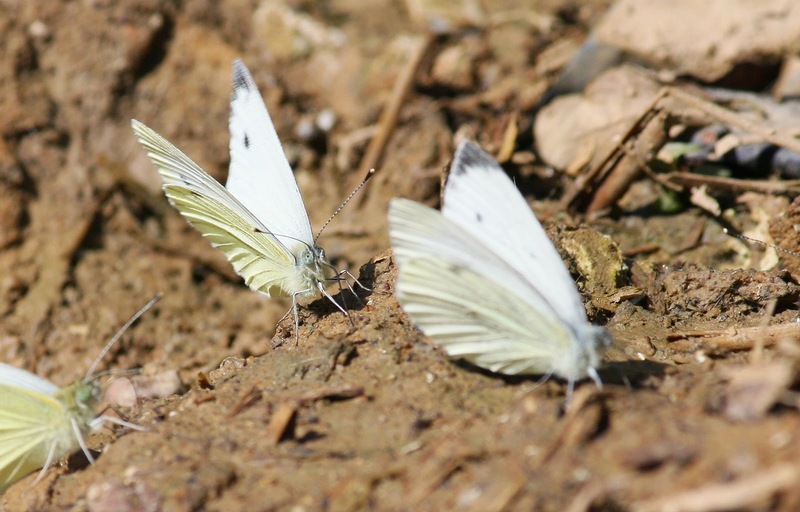 When courting, the male small white butterfly zigzags around and in front of the female continuously until she lands. The male then catches the female's closed forewings with his legs and spreads his wings, forcing her to lean over. He sometimes flies with her dangling beneath. 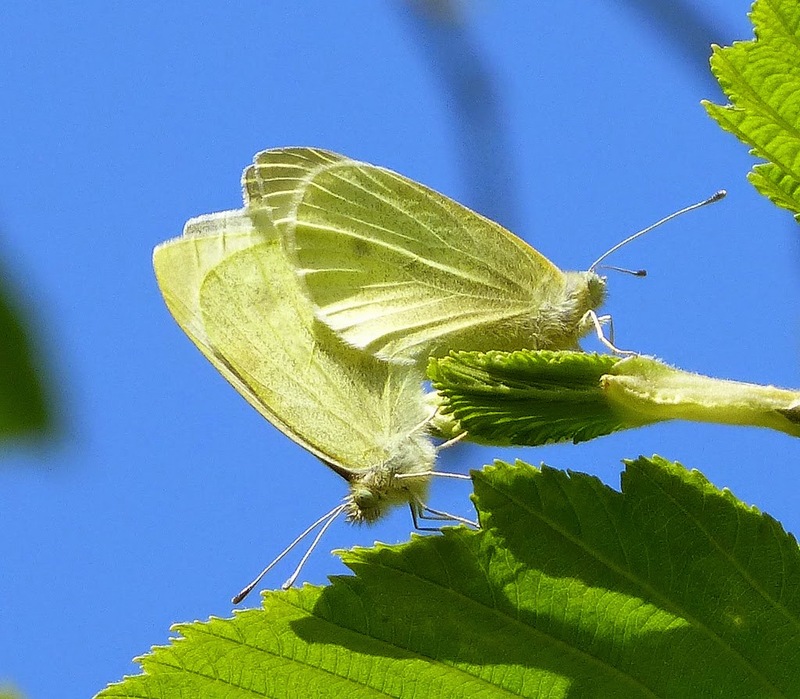 Small whites lay eggs singly on the underside of a leaf of a larval food plant in a sheltered spot. The eggs are pale but turn yellow then grey later. 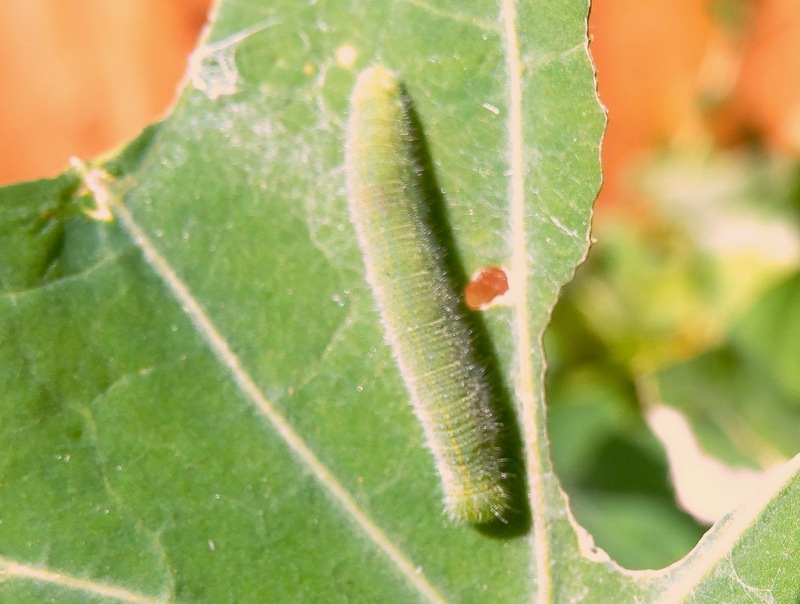 Small white caterpillars enjoy eating cabbages. 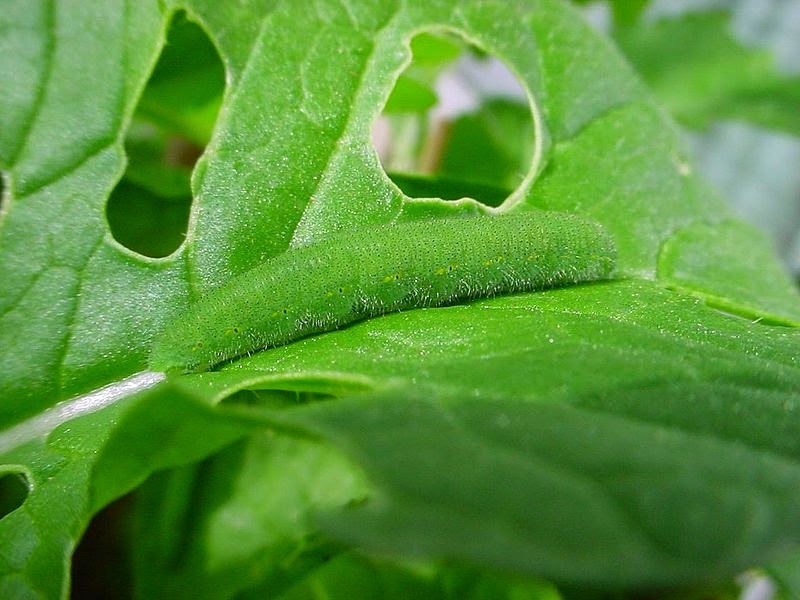 The small white larva (caterpillar) eats its eggshell first then the food plant. Gardeners will notice tell-tale holes in leaves appear which slowly grow larger. 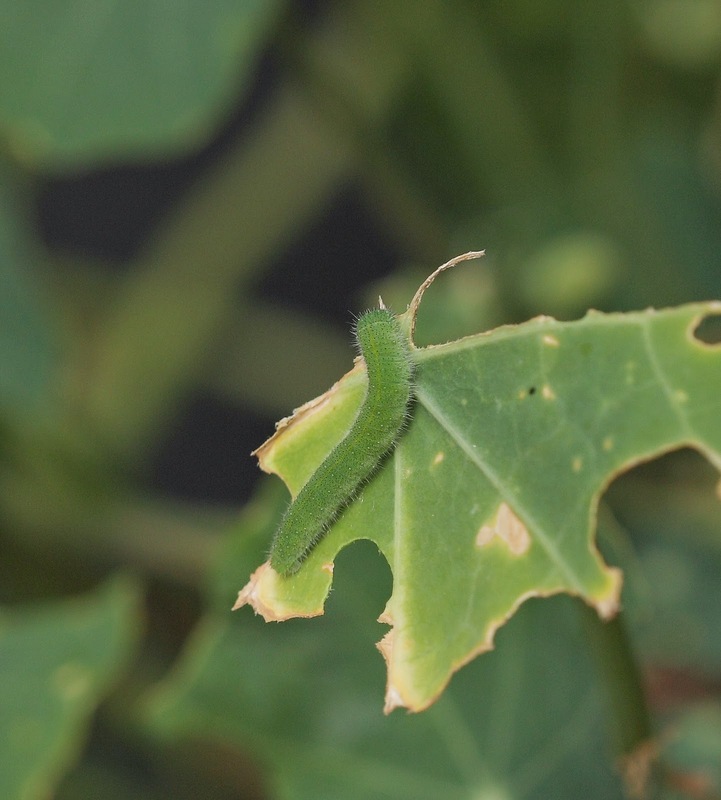 True to the label of ‘cabbage white’, small white caterpillars primarily eat Brassicaceae (the cabbage family) and they are also very partial to nasturtiums. They will also use charlock, garlic mustard and wild cabbage among others. 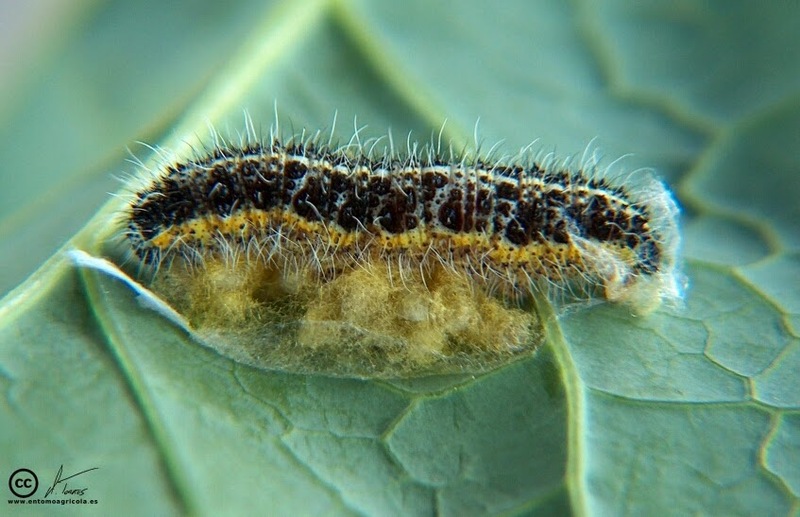 As it grows, if on cabbages or other brassicas the small white caterpillar will move into the heart of the plant where it's more protected. The small white caterpillar pupates away from the food plant, for example on a fence or a tree trunk. 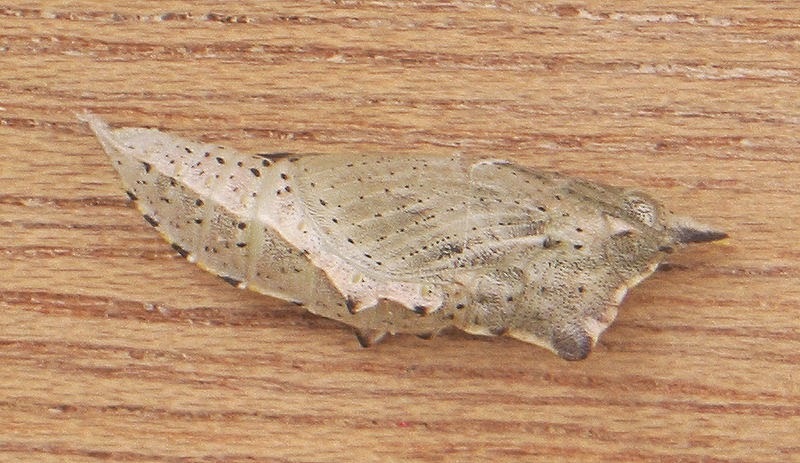 The pupa is supported by a silk girdle and is either green or brown. The pupa produces an adult either the same summer, or else it overwinters until spring. The small white caterpillar can often fall victim to a range of insect parasites. 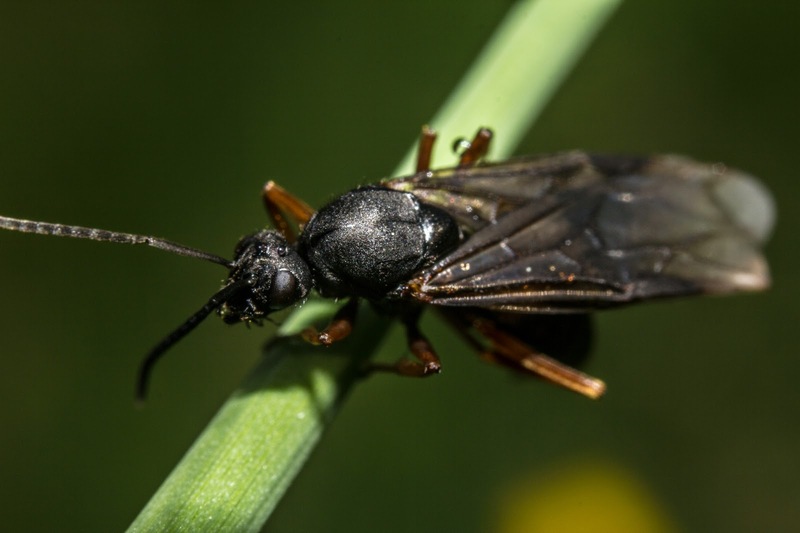 A typical parasite is Cotesia glomerata, a small parasitic wasp. 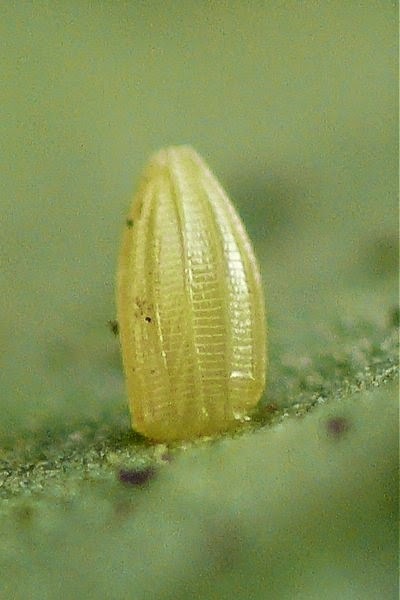 Cotesia glomerata lays its eggs in the caterpillar of a small white butterfly. After fifteen to twenty days, the eggs hatch and the caterpillar dies. 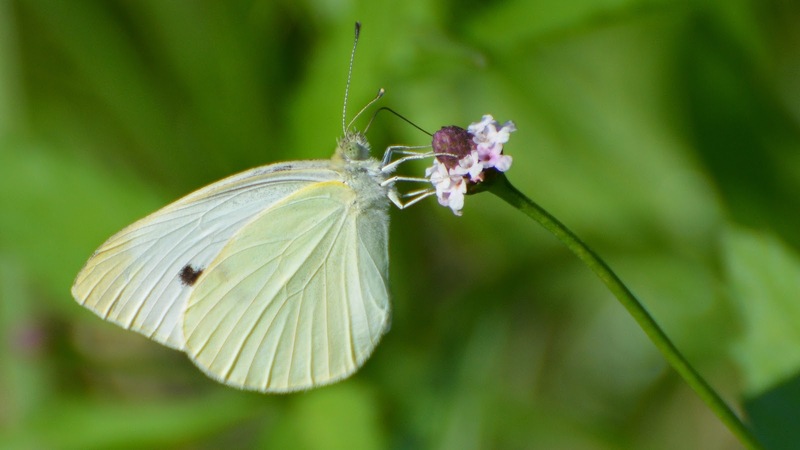 Adult small whites, like most butterflies, will 'taste' the leaf of a larval food plant (by detecting chemicals) with their feet when choosing where to lay an egg.